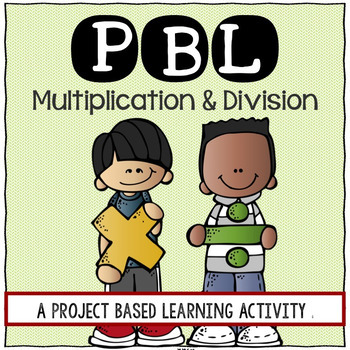 In this Project Based Learning activity, students create one or more games to develop and extend their understanding of multiplication and division. 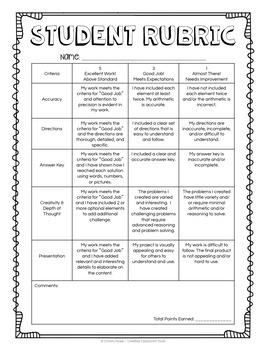 The project encourages student creativity, while also providing guidelines to ensure student accountability of learning and standards. Once students have created their games, I often use them in centers & stations, as Anchor Activities, Parent Involvement, and for ongoing practice and remediation (as needed). • THINK! 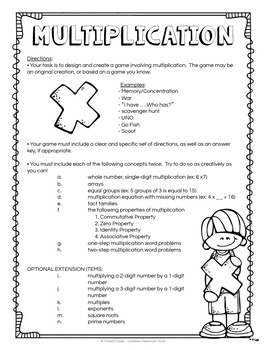 Math Enrichment Activities. • Brain Food! The Original. • Fraction Pattern Block Puzzles. Please contact me if you have any questions! I want you to be 1,000% happy with your purchase! © Christy Howe 2014. Materials are intended for personal use in one classroom only. For use in multiple classrooms, please purchase additional licenses.